Which is the most intelligent robot in the world? It is very difficult to answer with certainty. Here let us have a look at some of the smart robots around the world.People love androids(An automaton that resembles a human being).Each one is designed to perform certain task,so it is not fair to compare them.We have picked three robots that anyone love to have. 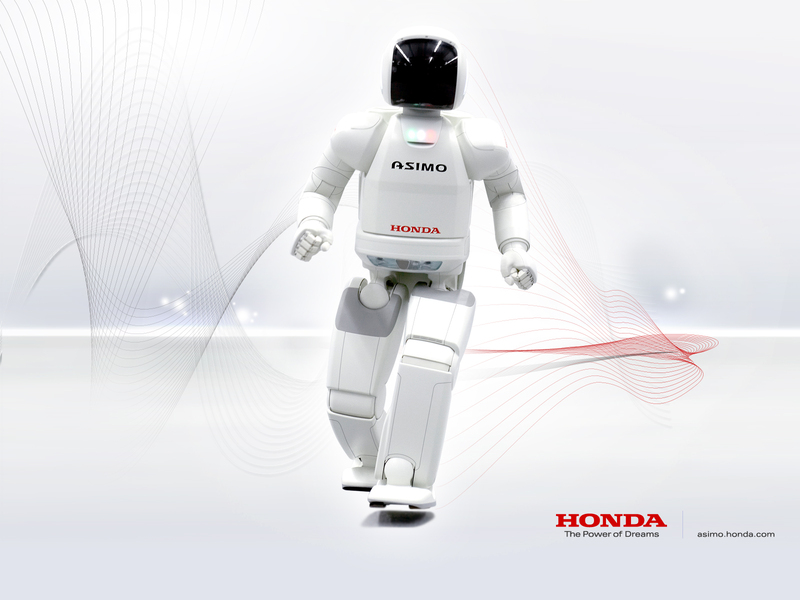 ASIMO developed by Honda’s R&D subsidiary ,walko city,Saitama Prefecture. Japan is the leader in humanoid robots.Honda began developing humanoid robots in the 1980s, including several prototypes that preceded ASIMO.ASIMO's first version was introduced in 2000.ASIMO stands 130 cm (4 ft 3 in) tall and weighs 54 kg . ASIOM’s most innovative feature is it’s advanced intelligence.Robot can think and act its own without human intervention.That is made possible by five sensors that replicate our five sensors.ASIMO’s head contains 8 microphones.It uses it to engage in conversations.It can also distinguish and understand Multiple utterances. That means if two or three people talk simultaneously, ASIMO can distinguish their voice clearly and act accordingly.The robot can detect the movements of multiple objects by using visual information captured by two camera "eyes" in its head and also determine distance and direction. ASIMO’s artificial intelligence can analyse vast array of information.That’s how it understands peoples request and take appropriate actions.ASIMO has also sophisticated sense of touch. It’s fingers can make certain movements like a person’s.Sensors are embedded in finger tips too.They can gauge the hardness of an object like human fingers do.Most robots use fixed amount of strength to grab things.But ASIMO exerts more power to open a tightly sealed water bottle and less when holding a paper cup.The developers ultimate goal is for ASIMO to be a valuable partner that co-exist with humans. ASIMO’s advanced physical capabilities are revolutionary. Robot can walk and run and it can reach up to 9km per hour.Climbing steps and stairs is an easy task for ASIMO.It can perfectly remain balanced on one leg.ASIMO can shake hands with you and engage in soccer play with you. Atlas is a humanoid robot developed by the American robotics company Boston Dynamics, with funding and oversight from the United States Defense Advanced Research Projects Agency (DARPA). It was developed for a variety of search and rescue tasks, and was unveiled to the public on July 11, 2013. Atlas is latest in a line of advanced humanoid robots Boston dynamic has developed. It weighs 75kg with a height of 1.5m and can carry up to 11 kg of load. With it’s 28 hydraulic joints,arms ,legs ,torso head sensors and on-board real time computer ATLAS can sense it’s environment but it can react accordingly.and connecting a fire hose to a valve .Robot’s real time computers and LASERS allow for It’s environment to be sensed and mapped even at long ranges. Atlas' ability to balance while performing tasks allows it to work in a large volume while occupying only a small footprint. It is capable of walking over a wide range of terrain, including snow. Atlas keeps its balance when jostled or pushed and can get up if it tips over. It uses sensors in its body and legs to balance, and it uses LIDAR(—Light Detection and Ranging—is a surveying method that measures distance to a target by illuminating that target with a pulsed laser light, and measuring the reflected pulses with a sensor.) and stereo sensors(A stereo camera is a type of camera with two or more lenses with a separate image sensor or film frame for each lens. This allows the camera to simulate human binocular vision, and therefore gives it the ability to capture three-dimensional images) in its head to avoid obstacles, assess the terrain, help with navigation, and manipulate objects, even when the objects are being moved.It is also capable of climbing a ladder, starting and driving a car. Atlas is intended to aid emergency services in search and rescue operations, performing tasks such as shutting off valves, opening doors and operating powered equipment in environments where humans could not survive. 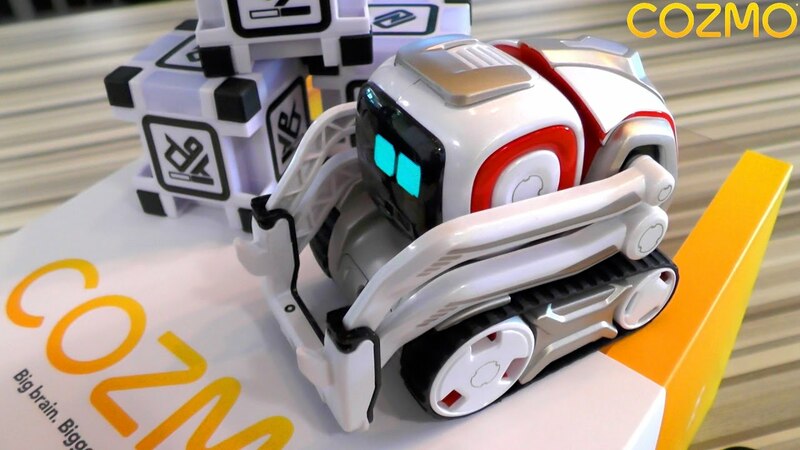 Cozmo Is an Artificially Intelligent Toy Truck .A toy truck in the list of most intelligent robots!!! !why?Here is the answer. Cozmo was developed by San Francisco startup called 'Anki' found by Boris Sofman and Hans Tappeiner.It was unveiled in June 2017. In the commercial world, robots often work on assembly lines or move stuff across warehouses. But these machines are pretty much hard-wired for specific tasks.In some ways, Cozmo is not quite at the forefront of robotics research. It doesn’t use deep neural networks, an AI technique that promises to reinvent robotics by allowing machines to learn tasks through the analysis of enormous amounts of data. It doesn’t have necessary on-board processing power for this, and since it doesn’t connect to the Internet, it can’t grab this power from distant servers. But using other techniques that aren’t as dependent on data analysis, Cozmo can recognize your face. It can pick up and move a set of blocks. It can mimic emotions. If Cozmo comes to the edge of a table, it might look scared. If it has just lost a game to you, it may pout and look to play with someone else.Other robots use deep neural networks to achieve such abilities. But Cozmo's developers managed to do it with simple algorithm. Mobile robots created by Boston Dynamics, and Honda radiate mechanical charisma.But Cozmo shows its' smartness in interaction with humans and mimicking expressions and feelings. Cozmo has one-of-a-kind personality that evolves the more you hang out. Anki’s newly unveiled software development kit—an SDK—that coders can use to tweak the behavior of the toy robot. The company claims the SDK is the first of its kind: a kit that lets anyone program such an intelligent robot, a robot that recognizes faces and navigates new environments and even mimics emotions. Cozmo is now a toy. But it’s also the future,a long way to go. Cozmo's capabilities may be limited,but it is good at what it does. Artificial Intelligent is gaining momentum and the list of most intelligent robots tends to change rapidly.